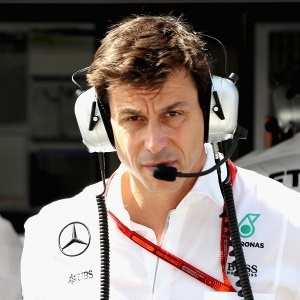 Cape Town - Mercedes team boss Toto Wolff has said the Silver Arrows are "ready for an epic battle" as they aim to clinch both titles ahead of a resurgent Ferrari. Mercedes have a 44-point lead over the Scuderia in the Constructors' Championship, while Lewis Hamilton narrowed the gap to Sebastian Vettel in the World Drivers' Championship to just seven points in Belgium. And Wolff is not expecting any race to be easy and is instead braced for more "dog fights" with Ferrari. "There will be no races where it is a walk in the park and we are ready for an epic battle all the way to the finish line in Abu Dhabi," Wolff said ahead of the Italian Grand Prix. "We said before Spa that it's dangerous to make assumptions this year and the race weekend demonstrated why that's the case. It was a dog fight with Ferrari and, although we came out on top, we did so by a small margin only. "We can expect the same kind of close battle at every race this year. "In the coming weeks, we must grasp every opportunity, accept good fortune with humility, misfortune with resolution and show our resilience on the days when our rivals are stronger. "The pendulum will swing again a number of times before Abu Dhabi, the season so far has shown us this much. Our focus is simply on extracting every possible point from each race in succession, beginning this weekend in Monza."